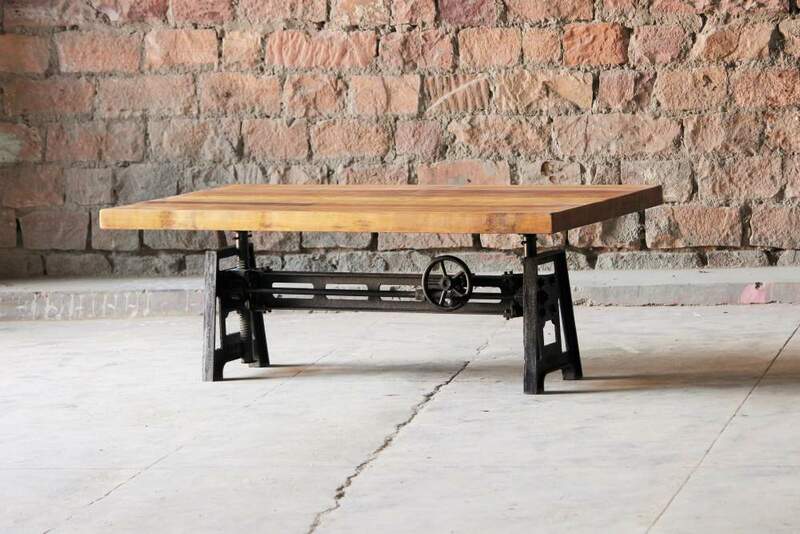 The clever design of our Fulton Industrial Adjustable Height Coffee/Dining Table makes this table perfect for smaller places. 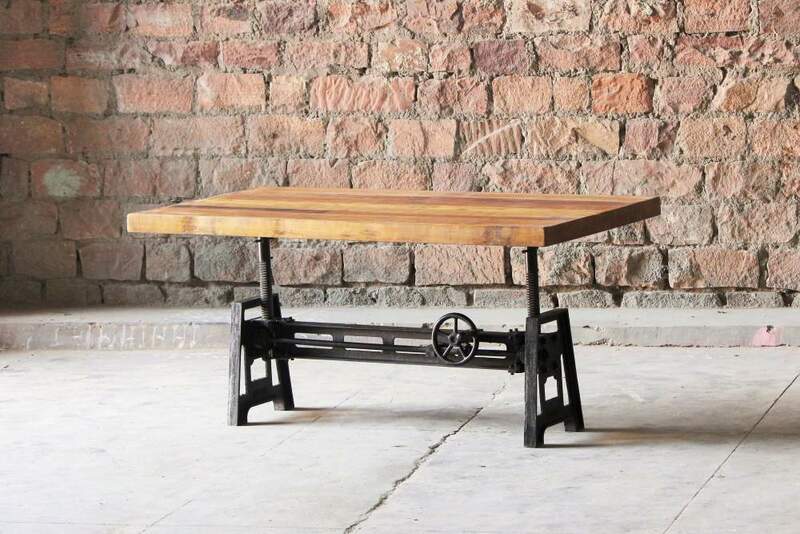 It can function both as a coffee table and a dining table. 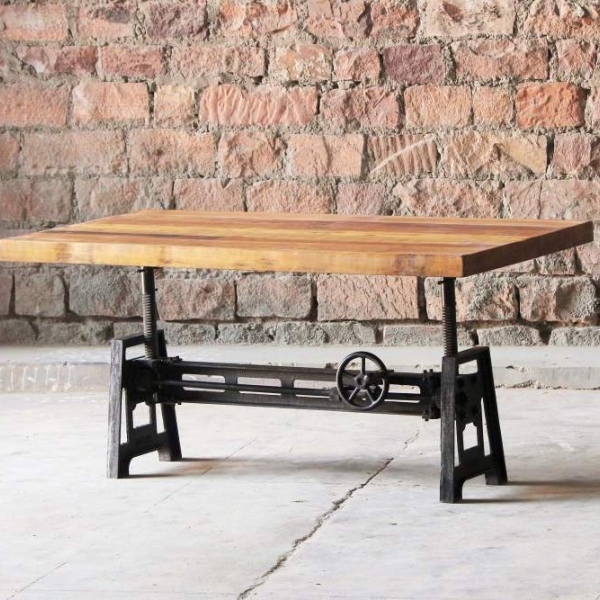 By turning the wheel on the steel base, you can adjust the height as it suits you. 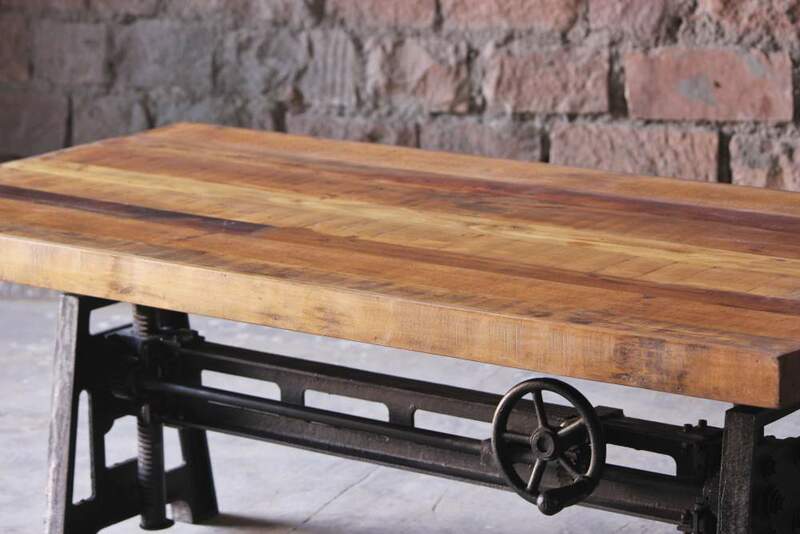 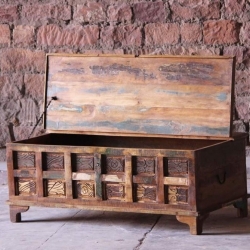 The table is made from reclaimed wood and steel and has been handmade by our expert craftsmen. 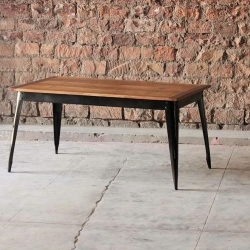 This table is unique and quirky, and will certainly be subject to attention.